← Thank You , Marv. 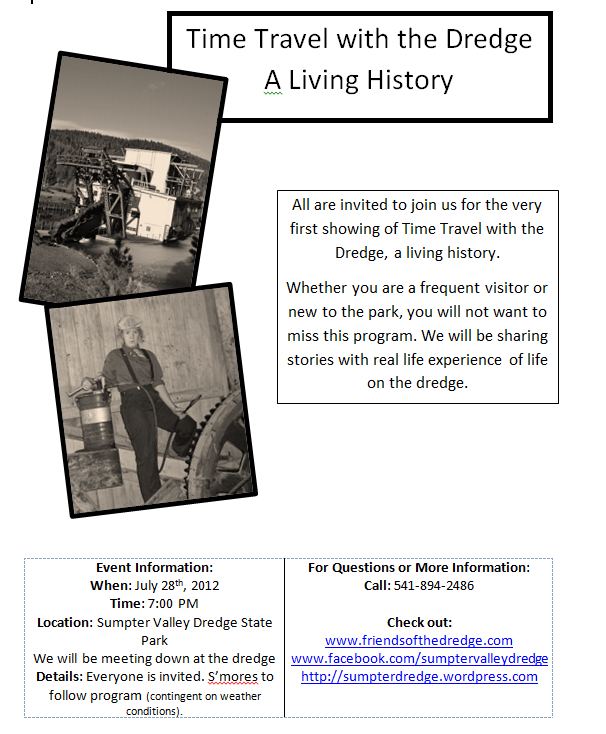 The first ever “Time Travel with the Dredge” program was a big hit! We had a wonderful crowd and a great time. This program is about a dredge worker named Sylvan. Sylvan is a hard worker but also loves to chat. When something happens to make the dredge stop for a few minutes Sylvan takes the opportunity to tell the visitors all about the pranks the workers play on each other. Along with some of the work he should be doing. Willie can be heard hard at work getting the dredge back up and running. We would like to take this time to thank all the people who help with the special effects. 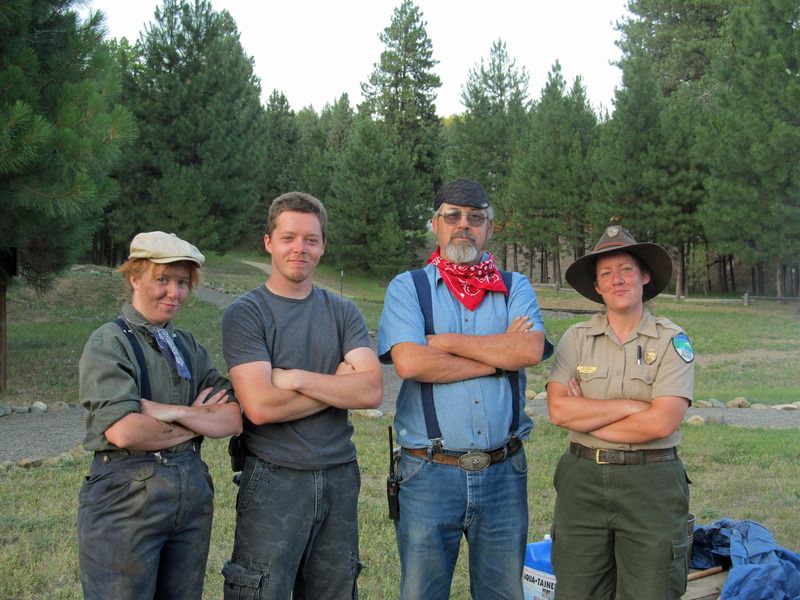 With the amazing crew we were able to bring both Sylvan and Willie (another worker on the dredge) to life. With the outstanding help the next program looks to be as amazing as the first. We will have the opportunity to enjoy this program again on Thursday August 16th at 1:00 pm, and once more on the 25th of August at 7:00 pm. These are the some of the last opportunities to see this special performance. 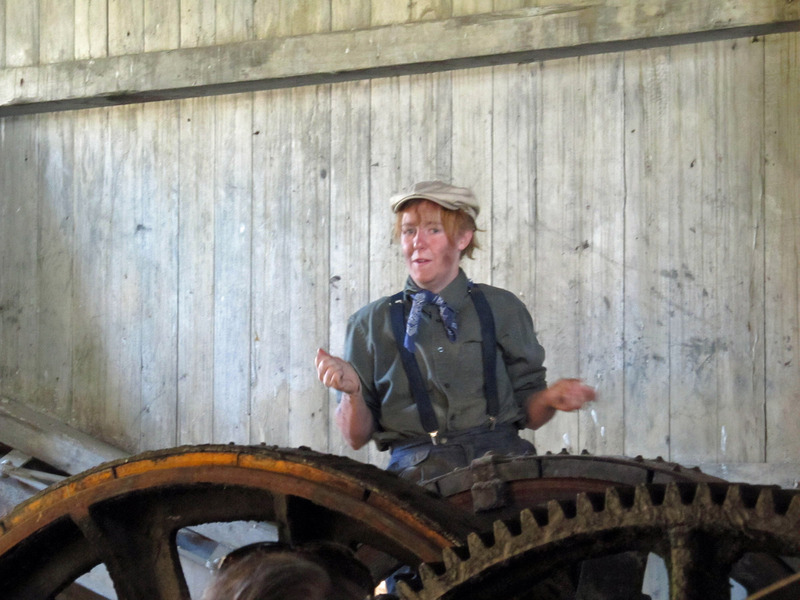 Come and laugh along with Sylvan while you experience life on the dredge like you never have before. 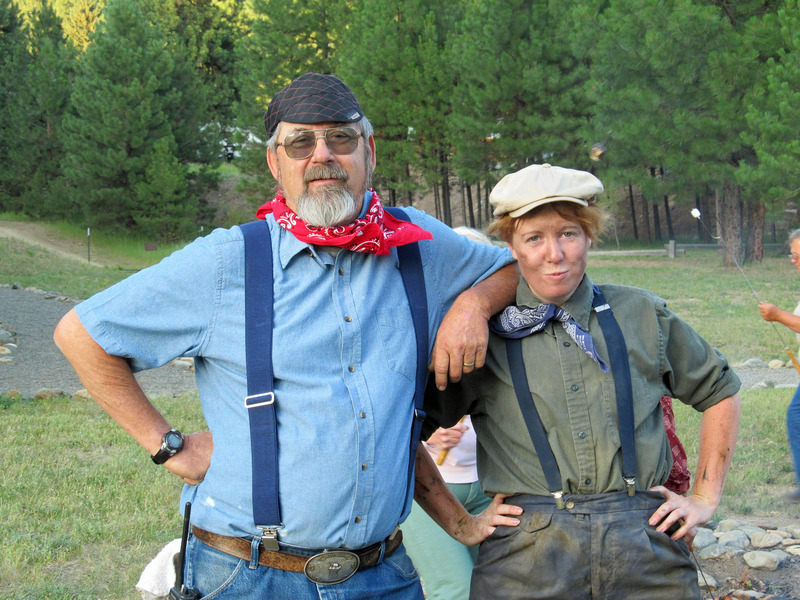 This entry was posted in Camp Fire, Dredge Stories, Events. Bookmark the permalink.